MARYSVILLE, Ohio, April 12, 2016 (ENS) – Insect control giant Ortho today said the company would immediately begin phasing out neonicotinoid-based pesticides for outdoor use because they are deadly to valuable pollinators such as bees. “This decision comes after careful consideration regarding the range of possible threats to honey bees and other pollinators,” said Tim Martin, general manager of the Ortho brand. Ortho said it will eliminate the use of neonic active ingredients imidacloprid, clothianidin and dinotefuran by 2017. These synthetic pesticides are called neonic because they are chemically similar to nicotine. High levels overstimulate and block the nicotinic acetylcholine receptors of cells in the insect’s central nervous system, causing paralysis and death. Studies suggest that neonicotinic residues can accumulate in pollen and nectar of treated plants and pose a risk to pollinators. Imidacloprid is the most popular neonic, first registered in 1994 under the trade names Merit®, Admire®, AdvantageTM. Clothianidin is neurotoxic and is highly toxic to bees and other non-target insects. In 2008 a massive bee die-off in Germany associated with clothianidin moved German to ban clothianidin and other neonicotinoids pending further investigation. Dinotefuran is restricted already by Oregon state law. As of February 2015, the Oregon Department of Agriculture, ODA, banned the use of pesticides containing dinotefuran, imidacloprid and clothianidin and a fourth neonic on linden and basswood trees. Ortho and its parent company, ScottsMiracle-Gro, today announced a multi-year partnership with the Pollinator Stewardship Council, a pollinator advocacy organization and supporter of more than 550 beekeepers throughout the United States. In the past the company has worked with the council to promote pollinator habitat; now the expanded partnership will develop homeowner education through web and social media on “the responsible use of pesticides where pollinators can be found,” the two groups said in a joint statement. Michele Colopy, program director of the Pollinator Stewardship Council, said, “We applaud the Ortho brand and ScottsMiracle-Gro for the steps that they’re taking to protect pollinators. Bees and butterflies are essential to our ecosystem and are increasingly facing a struggle to survive. 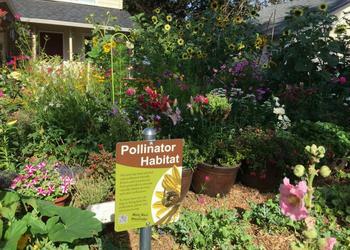 In January, ScottsMiracle-Gro announced a program to create 75 pollinator gardens in cities throughout the United States this year. The program is part of the company’s GRO1000 Initiative, which has created 790 community gardens to date. 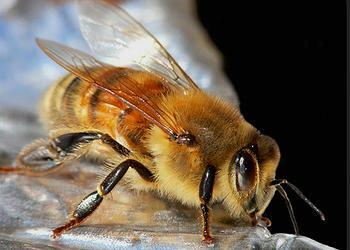 Neonicotinoid pesticides may also endanger human health. The National Toxicology Program, NTP, at the National Institute of Environmental Health Sciences is considering doing a formal assessment of whether exposure to them is hazardous to humans. The NTP requested information about these pesticides from the public on October 7, 2015, in the Federal Register, and public comments are still welcome. Neonicotinoid pesticides are persistent in the environment at levels below U.S. Environmental Protection Agency tolerances, but their residues have been found in many fruits and vegetables by the Department of Agriculture. Environmental persistence and nicotine-like effects raise concern for potential long-term human health effects. Earlier this spring, Ortho expanded its selection of non-neonic based garden solutions in preparation for the phaseout. “While agencies in the United States are still evaluating the overall impact of neonics on pollinator populations, it’s time for Ortho to move on,” the company said. ScottsMiracle-Gro said it would work with the Pollinator Stewardship Council and other partners to persuade government agencies to allow the use of label language that makes the purchase of non-neonic pesticides more apparent for home gardeners.